Whole house fans can help eliminate uncomfortable hot days & nights. It is an innovation that can help you keep your cool throughout the day & night while keeping your energy bills down. The air is pulled into your homes's attic where it will be pushed out quietly by the attic fans. Bickley's Air Conditioning & Heating offers professional installation of attic & whole house fans in Red Bluff, CA. Keep you attic cool and save money. Want to reduce your energy bills and save money on air conditioning? Installing a whole house fan in Red Bluff, CA will solve your problems. There is a big difference between an attic fan and a whole house fan. Attic fans only concentrate on circulating the air out of your attic. This air is above your insulation and does not have as big of a cooling effect as circulating the air inside of your home below your attic insulation. A whole house fan is designed to pull cool air from outside through the lower levels, and expel the hot air in your home through the attic, thus circulating the air in your entire home. If you're looking to have a new whole house fan installed in Red Bluff, CA call Authorized QuietCool Dealer, Bickley's Air Conditioning & Heating. 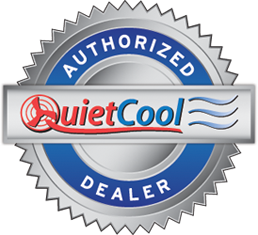 We install QuietCool Trident Pro & Stealth Pro Line that provide a 15-year warranty. Already have a whole house fan? 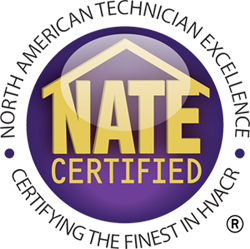 If your fan has started to show signs of wear and tear or isn't working properly, get it repaired by an experienced professional as soon as possible to keep your home comfortable and energy-efficient.